Spotify makes it very easy for you to search for songs, artists and albums. Usually during the course of one of these searches you will encounter an existing public playlist, and you might have even chosen to subscribe to that playlist. This puts the playlist in your library so that you can find it again later. But you might be interested in creating your own custom playlist, but are having trouble figuring out how to do so. 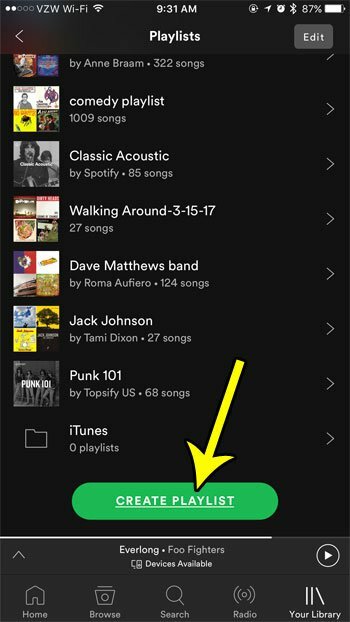 Our guide below will show you how to create a new playlist directly from the Spotify app on your iPhone so that you can start adding your own songs to it. The steps in this article were performed on an iPhone 7 Plus in iOS 10.3.3. The version of Spotify being used was the most current version of the app that was available at the time this article was written. Once you have finished these steps you will have created a new playlist with a name of your own choosing. You will then be able to browse for a song and add it to this playlist. Step 2: Choose the Your Library tab at the bottom-right corner of the screen. Step 3: Choose the Playlists option. Step 4: Scroll to the bottom of the menu and touch the Create Playlist button. 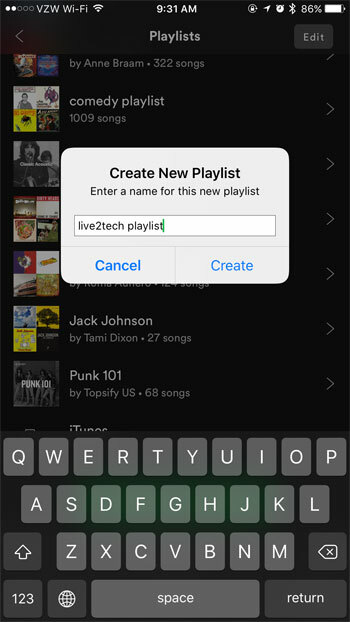 Step 5: Type a name for the playlist into the text field, then tap the Continue button. 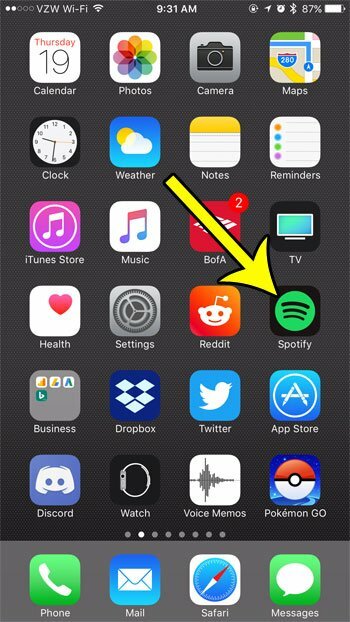 If you have too many playlists in your app, then it might be time to get rid of some of the ones that you aren’t listening to anymore. 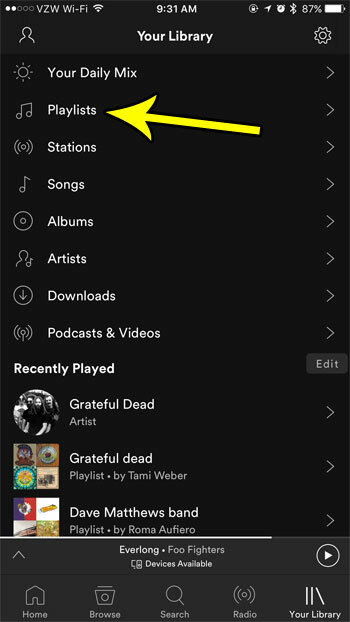 Learn how to delete playlists in the iPhone Spotify app so that you can manage them directly from the phone app. What is Using Bluetooth on My iPhone 7?